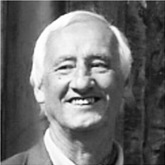 Bernard Beatty is Senior Fellow in the School of English at Liverpool University. From 1988-2005 he was Editor of the Byron Journal. He is the author of Byron’s ‘Don Juan’, Byron and the Limits of Fiction (with Vincent Newey), Liberty and Poetic Licence: New Essays on Byron (with Charles Robinson), and The Plays of Lord Byron (with Robert Gleckner). His other published essays are on the Bible, poetry and the Bible, literary theory and theology, Bunyan, Dryden, Rochester, Dickens, and most of the Romantics. He plays the organ and lives in Chester, England. 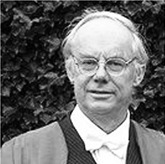 Prof. Ian Bradley is Principal of St Mary’s College and Reader in Church History & Practical Theology. He teaches and publishes in the areas of Scottish spirituality, hymnody, liturgy, pilgrimage, the spirituality of water, nineteenth-century music, and theology and popular culture (including the only University course in the world on the theology of musical theatre). He welcomes applications for postgraduate research on aspects of hymnody and church music, musical theatre and operetta, pilgrimage and Scottish spirituality. Dr Michael Downes has been Director of Music at the University of St Andrews since 2008, having previously studied and lectured at the universities of Cambridge and Sussex. 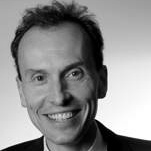 His research interests include contemporary music, nineteenth and twentieth-century French music, and opera and musical theatre. He is interested in the expression of religious and spiritual ideas in music: his first book (published by Ashgate in 2009) deals with two works by Jonathan Harvey which set Indian religious texts. 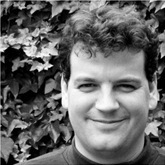 As a conductor, Michael has premiered numerous works by young British composers with the Bergamo Ensemble, a London-based group which he founded in 1999; since moving to Scotland, he has established St Andrews Opera and has become the musical director of the St Andrews Chorus. He is a regular reviewer of music books for the Times Literary Supplement, and frequently lectures on music and opera for organisations including the Royal Opera House. Dan Drage is Artist in Resident for the year 2018/19. Having completed the ITIA MLitt with a dissertation on the theological tension of materiality and immateriality as examined through the use of negative space in contemporary sculpture, Dan will remain another year in St Andrews as the artist-in-residence. As a visual artist utilizing a variety of media, Dan intends to explore the sacramental dynamics between everyday objects, time, space and the lived experience. He is keenly aware of the rich possibilities (and dangers) of being an artist in this particular place, nourished by the same stumbling Church which built, then destroyed, the great cathedral in St Andrews, the remains of which still vibrate with the absence of works of art. From 2006 to 2017 Dan and his wife Kimberly worked in Vietnam with American and German non-governmental organizations. Alongside local Christians they carried out community development projects in communities throughout northern Vietnam. Parallel to the NGO work, Dan was a practicing artist involved in Hanoi’s thriving arts scene. Dan’s most recent pieces, using watercolor on silk as well as wood assemblages to explore the qualities of everyday objects, were featured in a solo exhibition at Manzi Gallery, one of Vietnam’s preeminent art spaces. 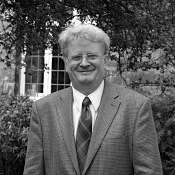 Dr William Hyland is Teaching Fellow in Church History at St Mary’s College. He specializes in Medieval Church history, with a particular focus on monasticism and spirituality. 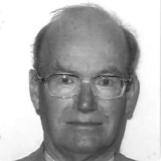 Dr Hyland is President of the editorial board of the book series Premonstratensian Texts and Studies (Cistercian Publications), and author of Custody of the Heart: Selected Spiritual Writings of Abbot Martin Veth, OSB. He welcomes enquiries for PhD supervision in the following areas: medieval monastic spirituality; the influence of Christian monasticism on the wider culture; connections between monastic spirituality and the arts. 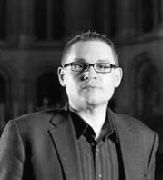 Prof. Paul Mealor, composer, was catapulted to international attention in April 2011, when 2.5 billion people heard his Motet, ‘Ubi caritas’ performed at the Royal Wedding Ceremony of Prince William and Catherine Middleton. It since topped the classical singles charts all over the world. In July 2011, Mealor signed to Decca Records and in December 2011 his song ‘Wherever You Are’ for Gareth Malone’s Military Wives became the Christmas No 1. His music is primarily for choir and almost always settings of sacred texts. Mealor won two Classic Brit Awards and was voted Classic FM’s favourite living composer. He is a Vice-President of the Llangollen International Eisteddfod and President of Ty Cerdd – the National Centre for Music in Wales as well as being Patron of the Welsh Music Guild and of the North East of Scotland Music School. He is Professor of Composition at the University of Aberdeen. 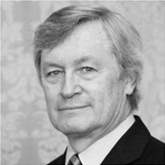 Prof. Patrick Sherry is Professor Emeritus at Lancaster University. His current research is in theological aesthetics. Prof. Sherry is author of Spirit and Beauty: An Introduction to Theological Aesthetics (Second Edition, SCM Press 2002) and Images of Redemption: Art, Literature and Salvation (T&T Clark, 2003). His current research is focused on the idea of wonder. The Rev Dr June Boyce-Tillman MBE read music at Oxford University and is Professor of Applied Music at the University of Winchester. She taught for twenty-five years in London schools and then in higher education. She has published widely on music education, with a forthcoming book on spirituality and music education with perspectives from three continents. Her doctoral research into children’s musical development has been translated into five languages. She lectures internationally, recently in Nepal, Greece, the US, Greece, South Africa and Lithuania. 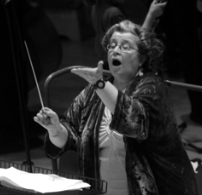 She is concerned with dialogue through music and radical musical inclusion, composing large-scale works for cathedrals such as Winchester and Southwark involving professional musicians, community choirs, children with disabilities and school children. She is editing a series of books on Music and Spirituality for Peter Lang. Her most recent book is Experiencing Music: Restoring the Spiritual – Music as Wellbeing. She founded the Centre for the Arts as Well-being and the Tavener Centre for Music and Spirituality. She is an Extra-ordinary Professor at North West University, South Africa. She is an Anglican priest and an honorary chaplain to Winchester Cathedral. Professor Michael Symmons Roberts is an award-winning British poet, writer and broadcaster. His poetry has won the Forward Prize, the Costa Poetry Prize and the Whitbread Poetry Award, and been shortlisted for the Griffin International Poetry Prize and the T.S. Eliot Prize. He has received major awards from the Arts Council and the Society of Authors. He is a Fellow of the Royal Society of Literature, and of the English Association. His continuing collaboration with composer (and part-time ITIA faculty) James MacMillan has led to two BBC Proms choral commissions, song cycles, music theatre works and operas for the Royal Opera House, Scottish Opera, Boston Lyric Opera and Welsh National Opera. Their WNO commission – ‘The Sacrifice’ – won the RPS Award for opera, and their Royal Opera House / Scottish Opera commission – ‘Clemency’ – was nominated for an Olivier Award. 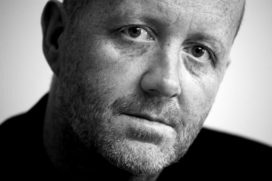 His broadcast work includes the BBC4 verse film ‘Men Who Sleep in Cars,’ which won the Sandford St Martin Prize, and ‘Last Words’ commissioned by Radio 4 to mark the first anniversary of 9/11. He has published two novels, and is Professor of Poetry at Manchester Metropolitan University.